We are pleased to present this Aurora Award-winning home by local contractor Josh Wynne, architect Chris Leader and SAWA Design Studio. We look forward to artfully uniting it with the matched connoisseur of life through our deeply connected global network. The solid, two-story, concrete home offers light and bright open living space on the main level with tranquil views to a lovely courtyard and pool. The polished concrete floors are a perfect palate for rich, textured rugs. The kitchen features sleek cabinetry, ample storage, Caesarstone counters and high-end appliances. The dining room, just off the kitchen, comfortably seats eight. Upstairs youll find light-flooded living quarters. The master suite presents very well with plenty of wall space and great views. The master bath has rich, Viatera Quartz countertops. The second bedroom can also serve as a guest suite, but is equipped to be an in-home exercise room. An additional en-suite bedroom is complete with kitchenette and separate entrance. Outdoors, youll enjoy the saltwater, heated pool with fountains. Modern, concrete decking stones offer the perfect Zen spot for outdoor entertaining. No expense or detail was spared here. The location cant be beat. 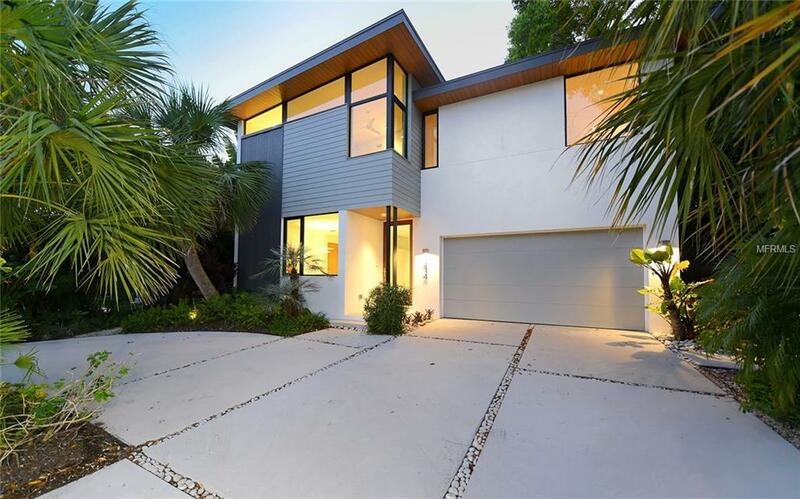 Just blocks from Mortons Market, Selby Botanical Gardens, in the coveted Southside School district and walkable to multiple restaurants, shops, nightclubs, Sarasota Memorial Hospital and a short drive to downtown Sarasota, St. Armands Circle and our world class beaches.